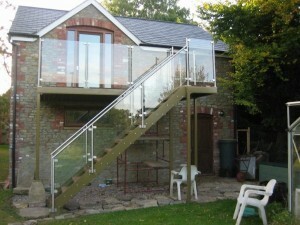 If you have a requirement for a staircase either as an architect, property designer or builder STS Contracts can help. STS Contracts have a long history as specialist contractors, supplying internal or external stairs. They have used their experience to develop this standard staircase which can be supplied in any colour. A cost effective solution, perfect for internal or external use. Call or email STS Contracts for your FREE design consultation and quotation. They have the expertise and experience to advise you on your staircase, ensuring that the design of your staircase visually enhances your property and also complements your interior design. All staircases can be finished in a range of finishes including powder coated to provide a durable and colour co-ordinated finish. All the staircases that STS Contracts design and manufacture are made to the highest quality to ensure the most professional finish possible. STS Contracts Quality Assurance is your guarantee of workmanship and quality staircases. Click here to view a portfolio of steel staircases available from STS Contracts.